A 7.8 magnitude earthquake has struck off the coast of Indonesia, killing an unconfirmed number of people. The country has issued a tsunami warning, the National Meteorological Agency reported. The shallow quake led to multiple deaths, according to Indonesia's search and rescue agency. "There are some who have died," said Heronimus Guru, the agency's deputy head of operations, as quoted by Reuters. He declined to provide further information. The shallow quake, which hit southwest of the island of Sumatra on Wednesday, had a depth of 24 kilometers (15 miles). 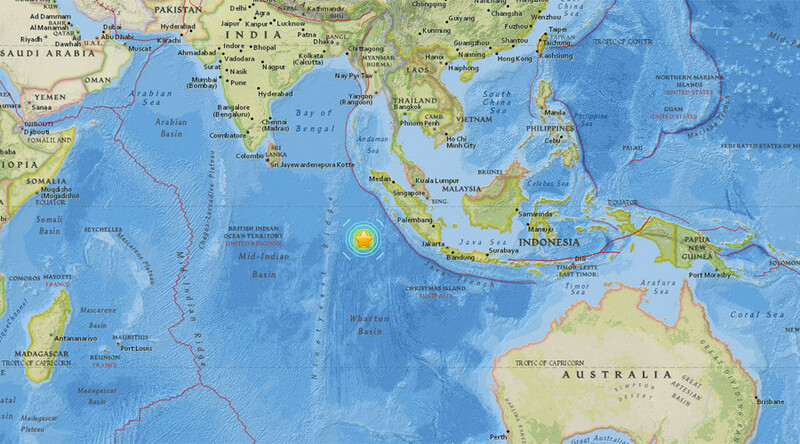 The epicenter was located 808 kilometers (502 miles) southwest of Padang. The USGS originally categorized the quake as a magnitude 8.2, and later an 8.1 and a 7.9, before lowering it to a 7.8. Indonesia has issued a tsunami warning for West Sumatra, North Sumatra, and Aceh, according to the National Meteorological Agency. A tsunami watch was also issued for parts of Australia's western coast, but has since been canceled. The tremors could be felt in parts of Singapore, a witness told AFP, noting that the ground shook for about 15 seconds. "I could feel my bed moving and I saw the wind chimes swaying even though my windows were shut. I suspected it's tremor from a quake in a neighboring country because this was what happened some years back during the Sumatra earthquake," W. Ong, who lives in Sengkang, told the agency. In 2004, a 9.1 magnitude earthquake struck 160 kilometers (99 miles) off the western coast of northern Sumatra, resulting in a tsunami. A total of 230,000 people were killed across a dozen countries, including Thailand. The disaster killed 126,741 people in the Indonesian province of Aceh alone. Indonesia straddles the so-called 'Pacific Ring of Fire,' a highly seismically active zone where neighboring tectonic plates violently clash, resulting in a large number of earthquakes and volcanoes.